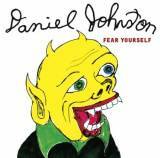 Produced by Jason Falkner this is the first studio album from Daniel in seven years. CURRENTLY OUT OF STOCK, Sorry! The 12" VINYL (released Nov 20, 2009) contains the BONUS TRACK "Shoe"
INCLUDES MP3 DIGITAL DOWNLOAD CARD! Buy the T-SHIRT AND LP for a special price!! Now available on VINYL again after 14 years! 1. Television Personalities - "Honey I Sure Miss You"
2. Bartlebees - "Casper The Friendly Ghost"
1. Wimp Factor XIV - "Good Morning You"
2. Hanshalf Trio - "Cold Hard World"
From the original 1983 cassette tape made in his brother's garage. Remastered for Vinyl. 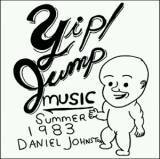 Re-released on Daniel's private label Eternal Yip Eye Music. 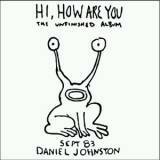 A collectors edition limited release of Daniel's albums Artistic Vice (1991) and 1990 (1990) albums. The 2003 collaboration with Mark Linkous is now available on 12" VINYL - a special limited edition 180g heavyweight version of the LP from Coppertree Records. Full color lyric inner sleeve. In the U.K., buy direct from Coppertree Records. 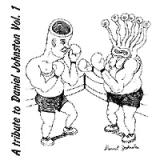 Daniel Johnston LIVE May 12, 2012 - This was Daniel's performance at the Benefit for Brett Hartenbach in Rochester, New Hampshire.